How Do You Participate? Simple, Ask Me Anything! Seriously anything, the best 3 questions win! I will decide based on which questions are the most insightful, intriguing, hardest to answer, or add the most value back to the platform. The deeper the rabbit hole you send me down to give an answer the more likely you are to win. Ask your question using the @Partiko Mobile App all others do not qualify for entry. Upvote & Resteem greatly appreciated for visibility but not mandatory. One question per person, only your first question will be considered. May include finer details for specification of my answer. The more difficult/insightful/inspirational of a question the better your chances of winning(possibly the longer it will take me to answer also, please be patient) which will be decided 5 days from posting. I will reply to all qualifying questions as soon as I can and possibly not in order. 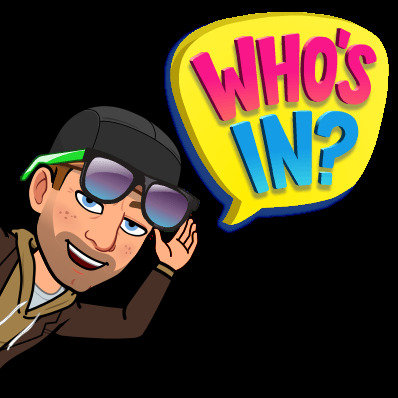 Every Friday I will post a DTube video announcing the winners and answering the top 3 questions with shoutouts for those contestants then restarting the weekly contest Saturday with another Partiko post. Thank you for the sponsorship of this contest which gives me the opportunity to promote our wonderful mobile application while simultaneously giving back to the community in the name of blockchain interaction! Thanks for this AMA on your "Dragging you up with me" show. This is pretty friggin' awesome, and cheers to the sponsor, @partiko (which I FINALLY understand now... "paid article" lol). If you're a Steemian, here for the long haul, is it ever advisable to "power down" your vested STEEM (SP) to obtain 'liquid' STEEM, and why? I see several accounts 'powering down', all the time... but I don't know why, except to just receive the liquid STEEM. The gambler in me wants to purchase @steemmonster booster packs, but I don't have the liquid STEEM/SBD to fund my 'habit'. BUT, I've often considered powering down and buying booster packs in the hopes of getting awesome (aka Gold Foil) cards. On a side note, I recall being informed that vesting STEEM while the USD value of STEEM is low, is very good if/when the price of STEEM climbs. This way, your account carries more 'power'... based on this, whenever possible, I vest my liquid STEEM! Thanks for your time, @d00k13! Well personally I have never powered down, have no plan to so I would say no! I wish to continue to add value behind my curation and development of networking through interaction and votes. Those accounts powering down must have a large amount of power already thus generate a large reward, after a certain point of investment powering down can be sustainable while using those rewards for projects. I hope to get to that point with the @OneLoveDTube account but currently it’s still only a small amount of reward thus I continue to power up everything unless absolutely necessary such as funding our IPFS Node. As for using it to invest into SteemMonsters booster packs, that is actually a good idea IMO but remember it takes 7 weeks to power down completely. I know I feel the same about taking the gamble on cards, one lucky draw could pay for everything plus profit and it adds to the Steemit community rather then taking it out for say server hosting. Now for vesting on low price vs high I’m not certain that makes a difference unless your making a purchase, low price higher coin count. If you have SBD on the other hand which should be pegged to a dollar exchanging for Steem while price is low will relate to a higher coin count in Steem when price goes up but I tend to stay away from playing the market myself. I use SBD for votes gaining visibility at usually a profit plus 50% comes back as SP, power up at a profit I call it! Possibly people could be powering down to play the market or use the liquid Steem for votes? It would just return as profit to their account from votes and then continue the cycle all over again! Thanks for the AMA idea man, I would most likely not have embraced the AMA theme had you not started off with the question you did! Your still the inspiration behind it and I am glad you have participated again for this one, another good question! Thanks for your thoughts and analysis on my question. I think you covered all the possible points for why it may be worth, or not worth, doing this. Very good point, and I can see how the cycle works here. Bigger funds, bigger cycle incentive! Great initiative! Can't wait to see the amazing questions! Thanks a bunch for everything @Partiko! I am so stoked, can’t wait to see what questions may be asked either! What do you think will happen with the outbreak of Steem 'clone' sites like Weku and smoke.io? Will they just fade away or manage to carve out a niche within their particular community? I figure they will last for awhile but it will come down to the developers which adopt the platforms, we have a few of the tech guys from #OneLoveDTube plus myself working on smoke.io. We run a witness node there as getting in early is a lot easier than trying to start a witness here with drastic demands on resources relating to much less overhead to start off with on Smoke. Each site has its own take on how things should develop and with smoke.io it has branded to a culture that has a lot of momentum, say more green friendly corporations adopt smoke it will become a massive success as that type of content is not widely supported here. Just that fact alone of a community being typically MJ friendly with all the push for legalization tells me Smoke has a bright future ahead of it. On top of that I think about the fact we are basically printing money, if you can do it here why not do it everywhere available? I know for myself my unadulterated content will be posted on smoke.io and not here but many will cross post in hopes of generating the most income for each post. So in short I believe in the same way people use Twitter + Instagram + Facebook people will use Steemit + Smoke + Weku no matter what the FUD flying around may be as these sites basically let you print your own income and further advertise what ever it is you may be pushing. The deciding factor of each platforms success will be determined by what direction the developers take the platform and what specific culture they are catering to. I agree about Smoke, it's a kind of special situation, I'm not convinced any other 'sub culture' has the same potential... What's the name of your witness node on smoke btw? There is tonnes of room in the market to 'print money', on the other hand, theoretically it could also all go through Steem in the form of communities. Interesting times indeed...Thanks for your thoughts and vote! No problem my friend thank you for participating in the contest! Our witness node on smoke is @graylan and a close friend of the community @jrswab also runs witness there. The big thing with multiple platforms I see is that no one is really a loyalist like myself, I have had to create a reason to post videos outside of just DTube. I am starting to cross promote our platform so my loyalist nature doesn’t feel offended by putting my content elsewhere. Many people just post as much in as many places so depending on how easy each platform is to use, specifically for mobile, it will determine how much adoption the platform will receive essentially how easy will the developers make it for people to multiply their rewards for effort. This song often gets stuck in my head! You need to look up nickleback shreds on YouTube. It's absolutely hilarious. Someone took the audio out of the music video and dubbed over it with terrible sounds. Kinda like the bad lip readings. Lmfao, 😝 I will definitely check that out when I get home tonight! why you create #onelovedtube Discord channel???? And "optional" question is why you join @dtube?? I created #OneLoveDTube because I wished to collaborate on something positive with @DNews who encouraged me to start vlogging and help him spread his message paying forward the support he showed to me! Vlogging I started as a personal challenge after encouragement from @DNews and DTube was the decentralized option, never was interested in YouTube. I wanted to know if I could do it, make a decent video someone would want to watch. From there it’s been a learning experience and a challenge for myself to keep experimenting finding new way to develop my skills relating to my success. Thanks dude it has been the majority reason for my own success and largest source of encouragement for me to keep going with creation, I have the community relying on me to keep moving forwards no matter the circumstances! Thanks bro, it has been a dream come true! Uhh ohhh looks like you got the cheetah downvote following you, what did you do? punishment for one week by cheetah,, i forgot give one photography source..
Ahh well at least it’s only one week, be carful in future they are not particularly forgiving when it comes to sighting sources for pictures! As mostly whenever someone wants to hit the trending page then he has to use bots in order to hit the page so i just wanted to know is there any way through which one can hit the trending page without any investment in bots or it is just for those who can put in money..?? Not that I am currently aware of unless you have friends in high places or happen to create something everyone wants or believes in possibly having strong positive feelings towards. I have made it into trending twice I believe, as in near the top of the page. Both times I had to use bots and once was mass promoted by community members. Now I regularly make it into hot listings on DTube just with their vote and the community trails I’m apart of. Once into DTube trending, for my facesofonelove video. As for steemit trending I just think of it as “promoted posts” and typically save my vote for friends or smaller fish. May I also point something out, don’t compare yourself to trending as it’s not fair to yourself. Many great works go completely unnoticed unless they happen to know the right eyes to get in front of and still It requires multiple eyes to generate anything close to a trending listing. Hey bro!!! Hope you are doing great!. How did you get to amass so many @partiko points?. Do they go down when you redeem? Doing very well thank you ☺️ hope the same for you! I have been collecting points ever since I started with Partiko back at the end of July, can’t cash in my points with iOS as of yet. I am waiting for an option to redeem for upvotes on other people’s works anyways, use it for boosted curation capabilities! How did I get them? Mass commenting and consistent daily posts replying to everything even bots/spam with warnings, everything I have done in the last few months for interaction has been through this app. Yes they are subtracted from your total, when you make a post with Android you have an option to redeem for an upvote and you may select how many point to redeem relative to how large of an upvote you wish to receive on that post. I will keep at it, likewise buddy your photography is pretty amazing also! Thanks for participating my friend! Thanks a lot for the insight bro. Happy to hear you are doing awesome!. I'm doing fairly good thanks a lot for asking. What negative effects do you think the blockchain has had on social media? And how best to deal with them? Alright for this one I’ll assume you mean MS social media and most likely not just the Steem blockchain either. 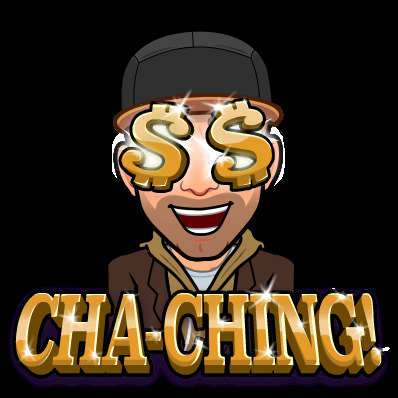 I see the most obvious negative effect for social media in its being used as a affiliate marketing promotion tool but typically for things that are in the “get rich quick” category. Things like the notorious BitConnect and many others had very rewarding affiliate marketing programs but it was basically a Ponzi scheme and those on MS social media not aware of the possibilities of buying into some fraudulent blockchain project easily get taken by the hype. Many people lost their houses over these affiliate marketing scams as to be able to promote the project you need to show examples of your investments and returns encouraging others to follow your links. Started a whole new era of scams which were hiding behind a “secret” blockchain trading technology using what was redly available to make the project seem like a legitimate business and those not informed on what the point of the technology truly is about would have no idea what they are buying into and then further promoting to increase their own rewards. Had these individuals not had social media to promote themselves then most likely it would have resulted in an immediate failure of the scam as any real investor could see right through the tech talk to what’s actually happening in the background. The lasting effect of all of this on social media is a general distrain for blockchain technology with posts and the like relative to the subjects being suppressed in fear of scams. People now pass over the real ingenious technology advancements as possible scams just lacking the understanding of what it means for the future of our economy and technology combined. We are left in a place of distrust you could say widening the gap between mass adoption and blockchain believers with a huge cloud of FUD in the middle making the transition very difficult. To correct this view of blockchain and the problems of fraudulent promotion on social media we must raise awareness to all aspects of what decentralization is about. Talk about the complications of having full control of your assets with no intermediary while simultaneously educating the benefits. As for fixing social media itself, I am not certain the masses are ready for that big of a change. Most on social media want to blindly follow but that is seemingly not possible with blockchain tech as you must have some understanding of what your being led into and require faith to not loose interest overtime. The best thing we can do to correct this situation of the FUD cloud is keep raising awareness for both the benefits and complications and those that get what it means for the future of finance will be willing to brave the FUD cloud enlightening themselves from the burdens of our current financial systems. I hope that’s a decent answer. Was kind of tough to answer as the effects are seemingly two fold, as MS social media is affected by blockchain so to blockchain is affected by MS social media. This has a lot to do with trading pairs and intrinsic value, Yes I see a grand future for STEEM but no I doubt that STEEM will ever beat out BTC or ETH for market dominance. As of right now STEEM has very limited trading pairs making the price action of STEEM relevant to the price action of its pair aka BTC. As BTC makes a move it’s pairs are only able to follow the movement or be victim of it. The only way we would see any positive movement otherwise would be if we have STEEM listed in exchanges with FIAT trading partners allowing people to buy in and cash out directly with FIAT rather then having to go through another coin such as BTC to then exchange for STEEM. This system has made Bitcoin king with a massive 40%+ overall market dominance as all transactions must go through BTC or the like to then find the destination simultaneously adding to the market volume of both coins. Now if STEEM was listed with a FIAT trading partner like BTC is then that volume would not relate to other coins market volume and dominance thus we could see a greater impact on positive price action separate from the other coins. As for STEEM beating out BTC for price per token I am not sure that is ever possible. STEEM is inflationary vs BTC being deflationary, meaning there is no maximum limit of tokens to be created for STEEM which scarcity creates demand which relates to intrinsic value. Then on top of that you must consider market cap relative to market dominance, first we would have to break away from the relationship of other crypto trading pairs then also have massive amounts of money flood into the market cap to then push up our market dominance thus increasing coin value. I can see a $100 STEEM in the future but I cannot see a less than $100 BTC at the same time unless something happens with the BTC network making it loose its intrinsic value which being deflationary is currently constantly rising. Your quite welcome thank you for participating! How much of your precious time do you spend on steemit platform per day? This one is a hard one to precisely answer as I often multitask trying to reply to comments and the like while doing other stuff, I also spend a fair bit of time editing videos which are for the platform. At times I find my Steemit activity takes away from the time I have in everyday life which is why sometimes I will just skip a day, putting down the phone and ignoring everything is the only way I can stop myself. What color Splinter/Team are you going to start off with this @steemmonsters Sunday? What it’s starting this Sunday? I need to pull my head out of the sand every once in awhile! Why you put up incomplete post? I’ll humour you, assuming it’s this post how do you figure it is incomplete? i mean what is the most interesting thing for you join steemit? Well I’ll have to start with explaining how I found out about Steemit. I started researching crypto with FOMO intentions which lead me to build a mining rig. Then I learned about Steem as a free transaction crypto and wondered why I couldn’t mine it so I signed up trying to research what being a witness would require. The idea of a social media platform paying out crypto for interaction just amazed me, still I think it’s a genius way of encouraging positive interactions. Previously to this I had a series of misfortunes and to honour my late buddy Tristan Watterworth I decided to start writing as he always encouraged me to start and he wanted me to review his works that he never did get to publish. I just felt right to live the legacy he was never able to! What’s the most interesting? Writing for me is therapeutic and I would never have discovered that had my buddy not passed away at the same time as myself starting to research crypto currency. It’s one of those synchronistic moments where had anything in my life been at all different I would not be here today, that’s what’s most interesting to me. I feel like everything lined up, good & bad aside they are all just life events, I was led to this platform and it has been the only therapeutic outlet that has helped me endure and I may not have discovered my passion for blogging and vlogging had those life events not happened. In short this platform has been nothing but a blessing for my own wellbeing! you answer me more than i expected. I just ask you a line and you give me pharagraphs to read. I'm so sorry for your late buddy. So it's all about crpyto at first? in writing case may be we are the same. i love writing. I write about everything. Eventhough i'm not so good at writing now, i will start with steem. Aww dude it’s all good I’m here now, found my therapeutic release through those very things I was requiring the release from. Yea it was all about the technology behind the crypto that made me interested in steem, from there I started writing. I am fairly decent at it and I like word play, double meanings so it came naturally. I also naturally adapted to vlogging cause I talk a lot of @D00k13 <- word play in action. Now it’s a desire to write and interact, record and edit videos. I am often asked straight up “are you here for the money?” Straight up we all are, choosing not to make the creation about reward rather it’s from the heart is the most liberating thing I’ve done. 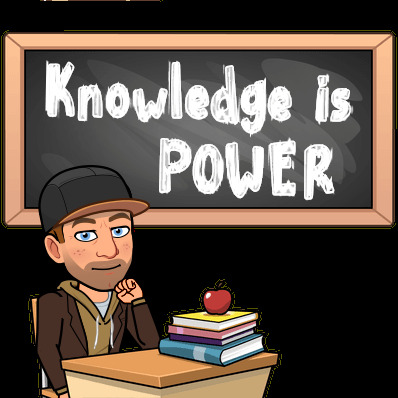 In short I have challenged myself every step of the way to learn what I know now, and so to you must challenge yourself to lean new skills and how best to apply them. Keep writing with consistency of creation comes experience with understanding of how to do what you do the best you can do it. Steemit is a new social network and is also revolutionary. It had the ability to change the way to communicate, but it is not still mi enough, because the mass has not become familiar with the concept of blockchain and cryptos yet. How do you think the other social networks (Facebook, Twitter, Snapchat ...) will suffer the growth of Steemit (and Dtube too) in the next future, when the mass of web users will have more familiarity with the blockchain and the crypto? Ohh very good question, personally I think adoption will be two fold. As the masses adopt blockchain and crypto the MS platforms will also or risk becoming outdated. I see the MS platforms taking what’s best from this evolving technology and applying it to their standing business model or creating an entirely new one while the blockchain developers continue to try work forward on evolving the technology itself. Essentially it will come down to corporate understanding of how centralized vs decentralized works along side the use case of such technology. Currently we are forcing the MS to address some deep routed issues surrounding bandwidth limitations and file hosting expenses but whether they swing to full adoption and paying users for activity is a whole other story. Personally I think Steemit and others being built from the ground up able to host a wide range of dApps will rise to match the competition and MS companies will forever have struggles convincing those whom truly believe in decentralization to return to their centralized company flaunting a decentralized system. Yet the problem of complexity with blockchain comes into play, password security, account recovery, etc.... the first company to be as simple as Facebook to use and understand with 2-factor securities which is truly built from the ground up like steemit with function of dapps will be the one to rise to the top! Your personalised images are really cool d00k13 - would you mind if this Knight used one or two in an upcoming post? Of course you may @sirknight just because you asked so nicely, better yet I can lead you into creating your own! 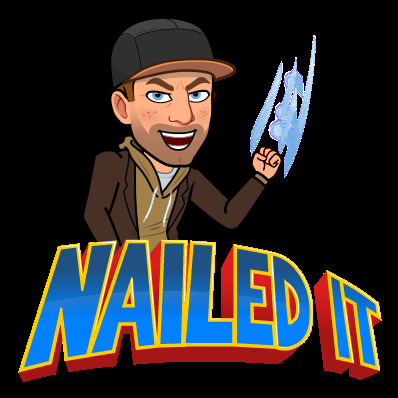 Super simple use Bitmoji, customize an avatar and all the different images are generated automatically with your customized avatar! Mobile app or chrome extension for PC, I can always find an image when I need to add a little branded entertainment to my blogs. 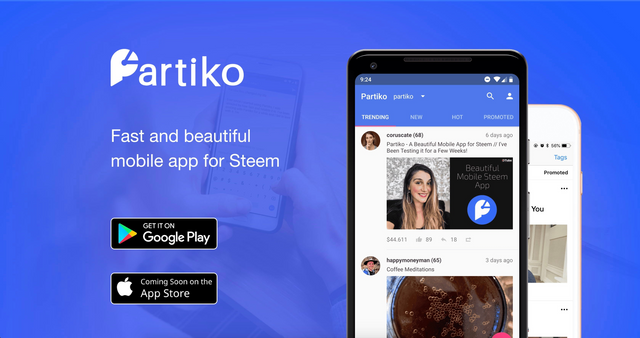 Now if you mean the Partiko logo page breaks, yes those are free use for the Partiko community which I will have an upcoming post with a few more options in the coming days. Creating a Partiko press-kit you could say. Hi, what it mean by your steemit ID? Your Steemit ID is the @username yours would be @amanda8250 and depending on what platform your using it may require no “@“ in front of it to be user in conjunction with your private key. Hi @d00k13, I mean do your steemit ID do have any meaningful behind? Well my username is “leet” for dookie which is the same as the Green Day album Dookie. 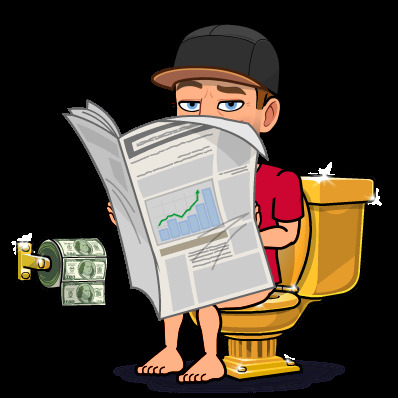 It’s a polite/childish way of saying 💩 thus the picture of me on a toilet and underneath it says dookie out meaning poop done. To understand that you must know I call my vlogs the @D00k13 Digest which is hinting that when you consume my content prepare for it to possibly leave a bad taste in your mouth like poop as I speak my mind 🤣. It’s my way of being cheeky with hidden meanings! How you guys choose 'Partiko' name for your app. Was it a long brainstorming or a quick thought? Alright so the answer is in! Well I am not part of the @Partiko development officially or naming rather just a supporter. I could speculate but maybe we can encourage the developer of @partiko to chime in. 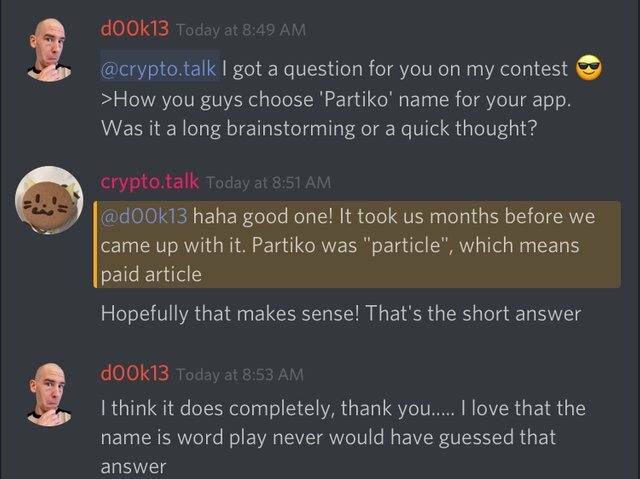 @crypto.talk how did you decide on the name “Partiko” for the mobile app? You got a 3.31% upvote from @postpromoter courtesy of @d00k13! Your UA account score is currently 3.788 which ranks you at #4502 across all Steem accounts. Your rank has improved 314 places in the last three days (old rank 4816). In our last Algorithmic Curation Round, consisting of 291 contributions, your post is ranked at #29.
can i make repeat question from partiko? Congratulations! This post has been upvoted from the communal account, @minnowsupport, by d00k13 from the Minnow Support Project. It's a witness project run by aggroed, ausbitbank, teamsteem, someguy123, neoxian, followbtcnews, and netuoso. The goal is to help Steemit grow by supporting Minnows. Please find us at the Peace, Abundance, and Liberty Network (PALnet) Discord Channel. It's a completely public and open space to all members of the Steemit community who voluntarily choose to be there.